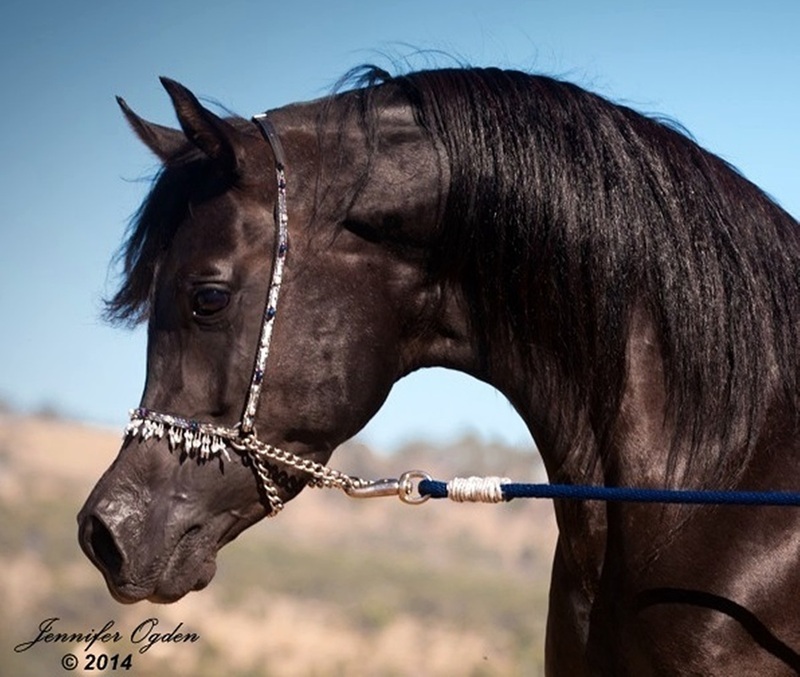 A magnificent black straight egyptian stallion, Scorza is a grandson of Anaza Bay Shahh*, a great-grandson of the great Simeon Sadik. 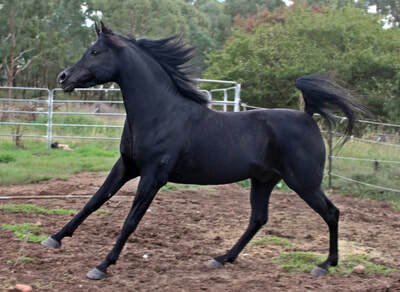 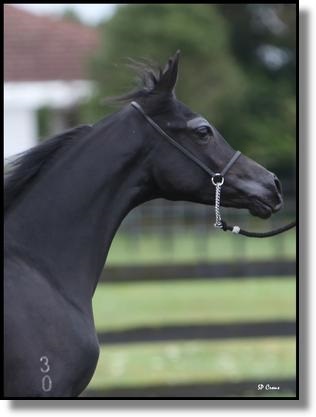 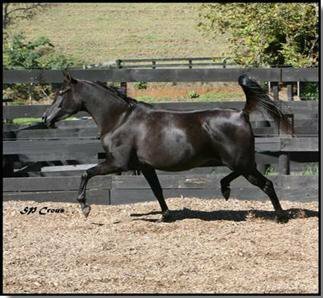 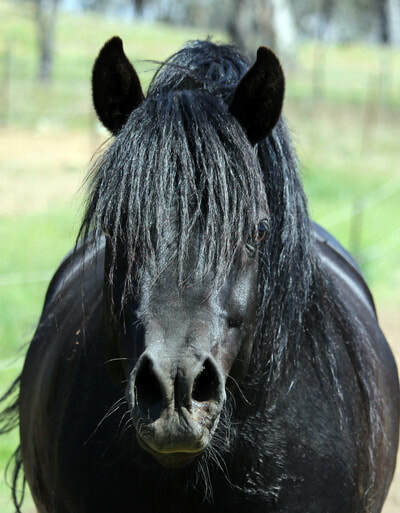 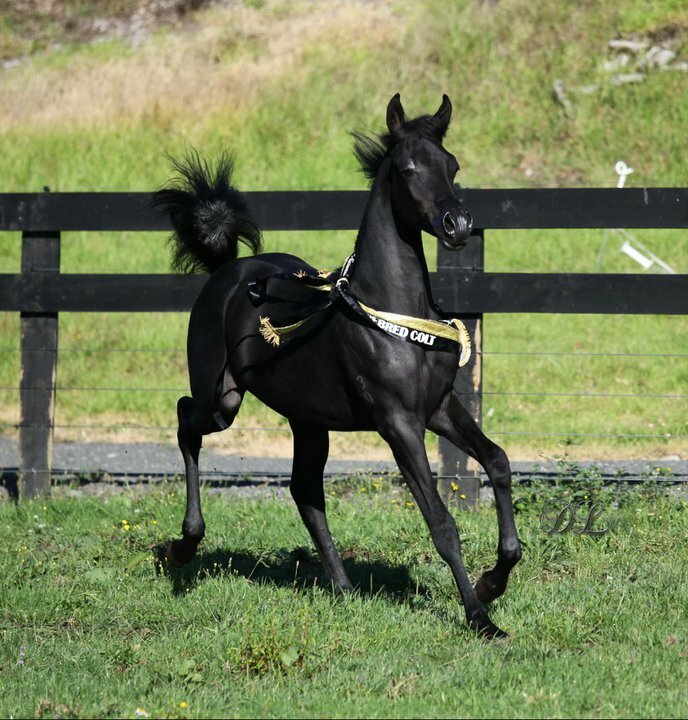 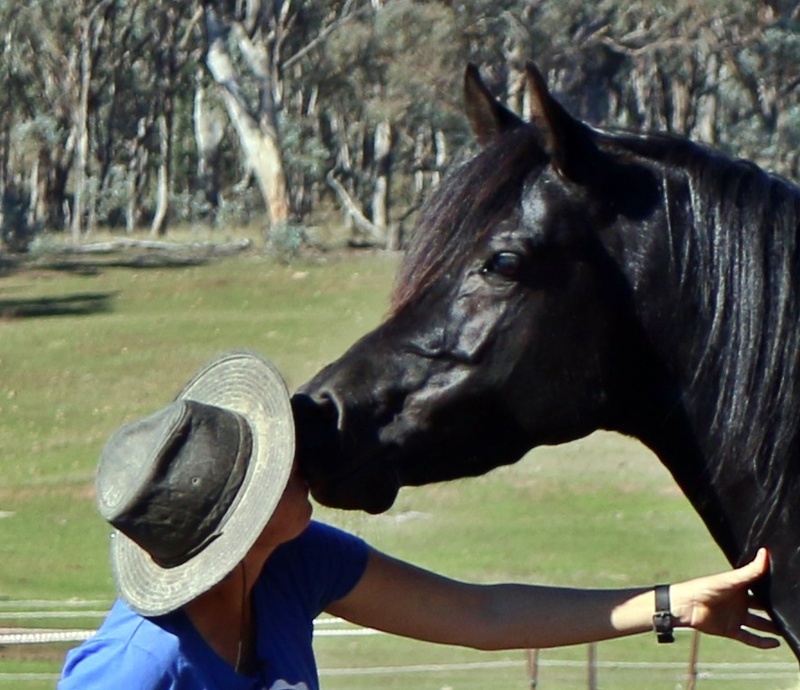 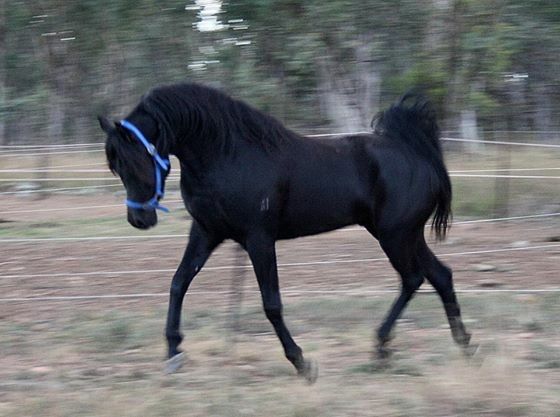 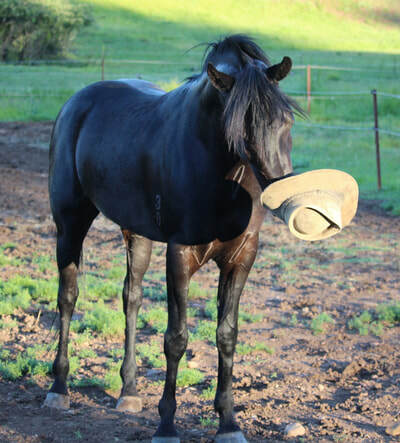 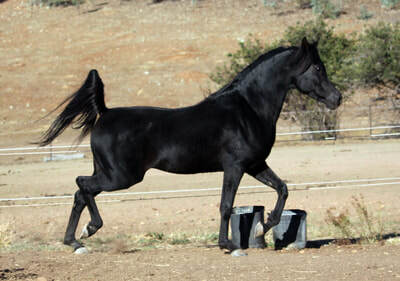 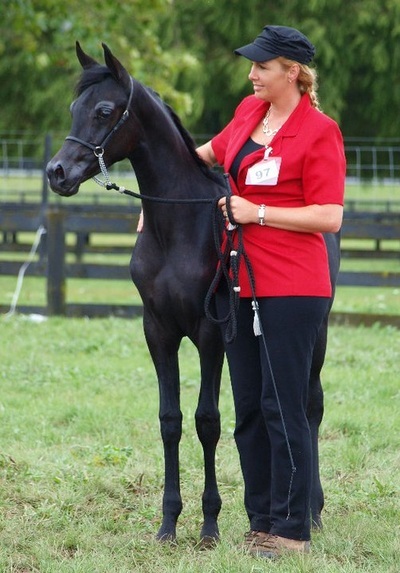 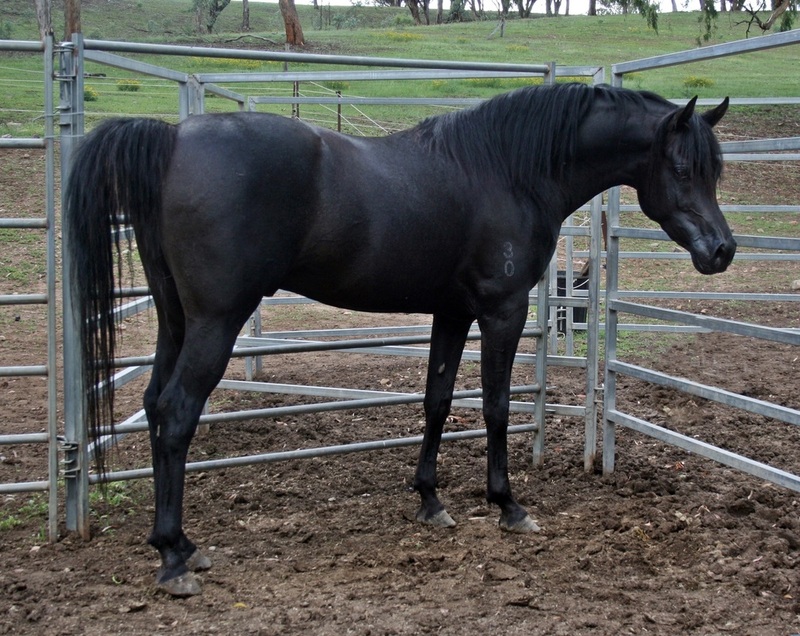 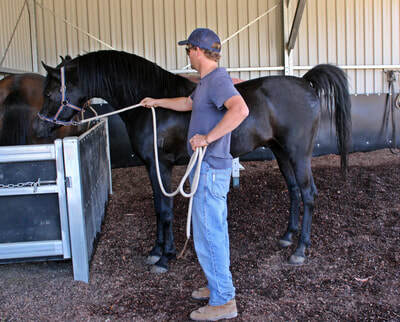 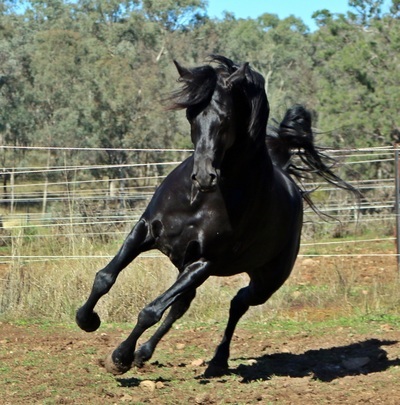 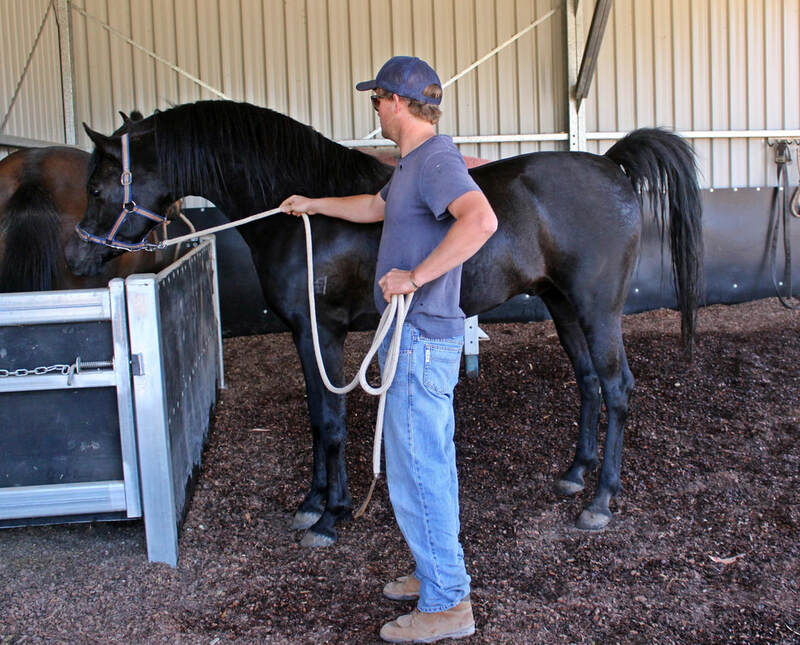 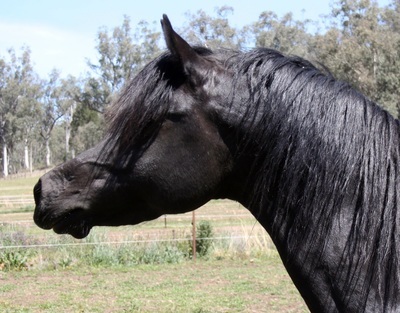 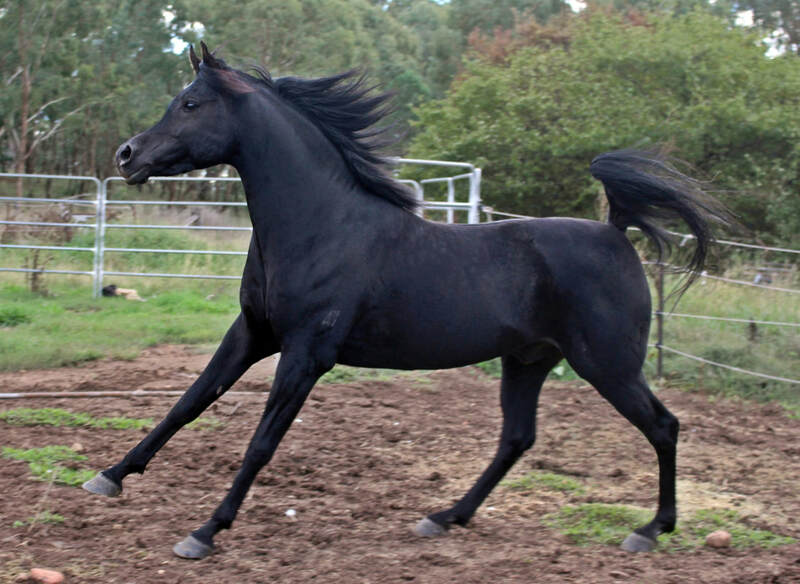 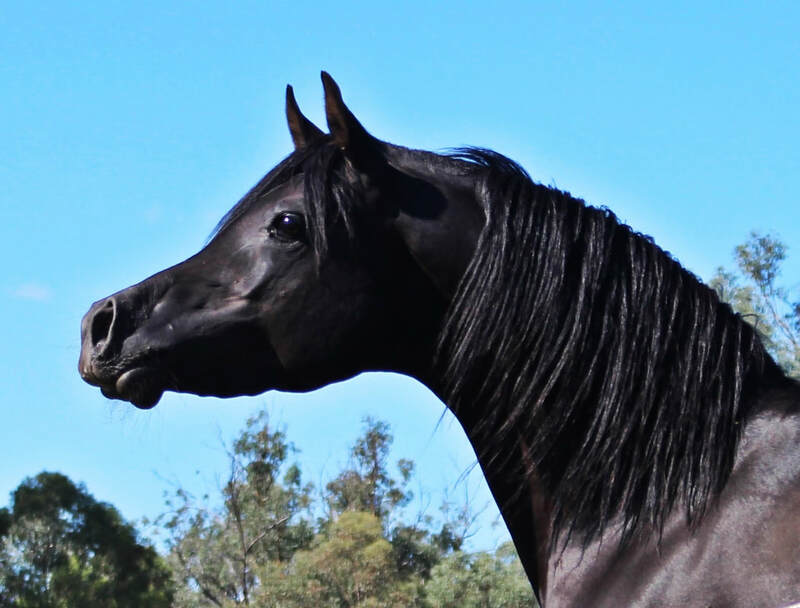 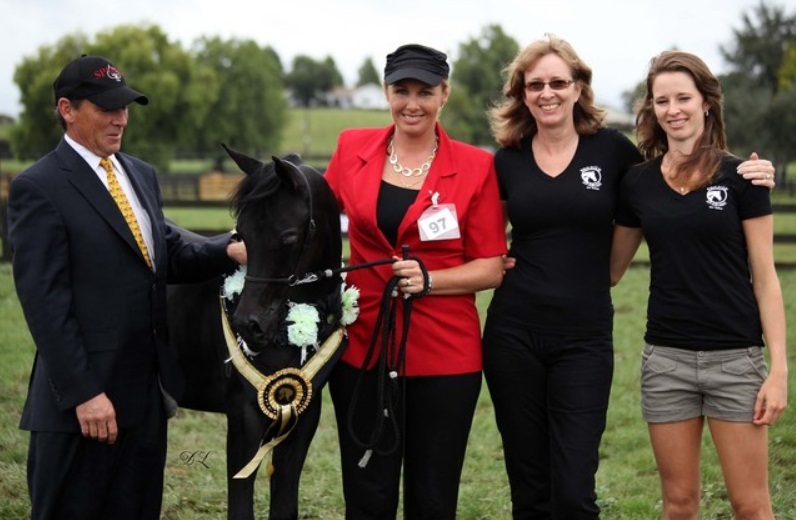 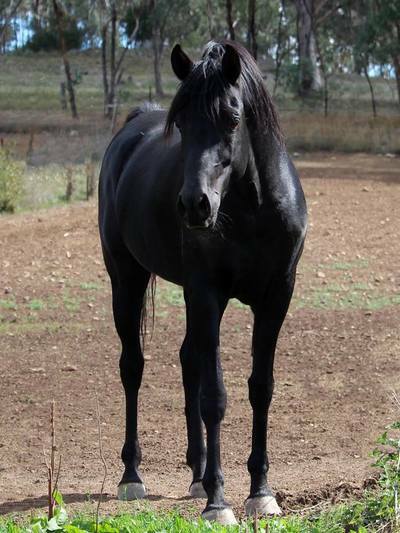 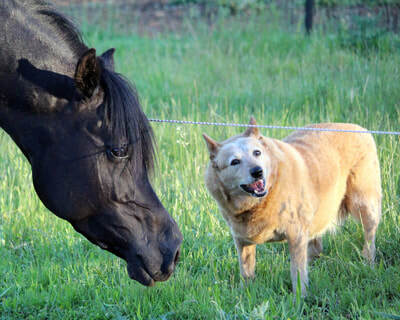 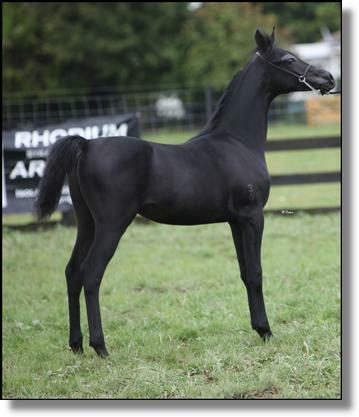 He is also a great-grandson of 2 other famous black straight egyptian stallions, Saud El Ameer, a son of the beautiful black EAO stallion Adhem, and Imaan, a son of Simeon Shai. 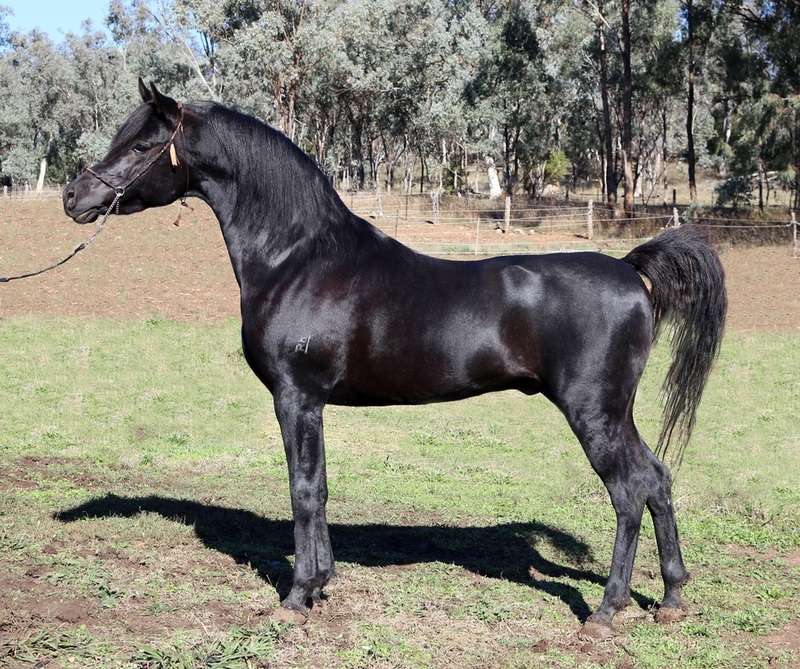 Scorza is the epitome of type with outstanding conformation and style. 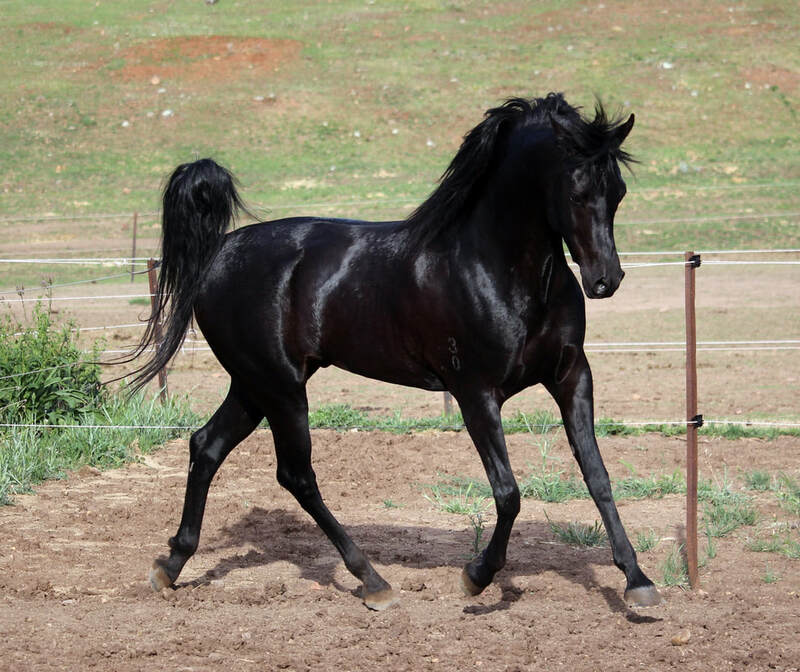 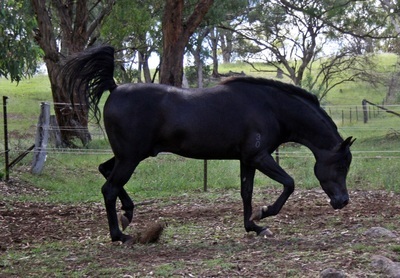 He is all black with no white markings. Strong black breeding on both sides of his pedigree. 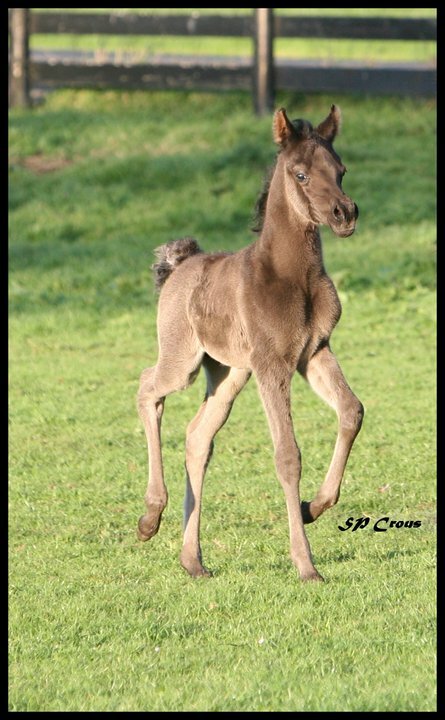 Please click on each image in the Scorza gallery below to see it enlarged.